One of my most favorite parts of going on vacation is having the opportunity to do activities I would never have had the chance to participate in. Swimming with dolphins, a Vespa tour through Florence, going to the French Open and a photo shoot in front of the Eiffel Tower are just a few of the favorite things that we’ve done on our travels. 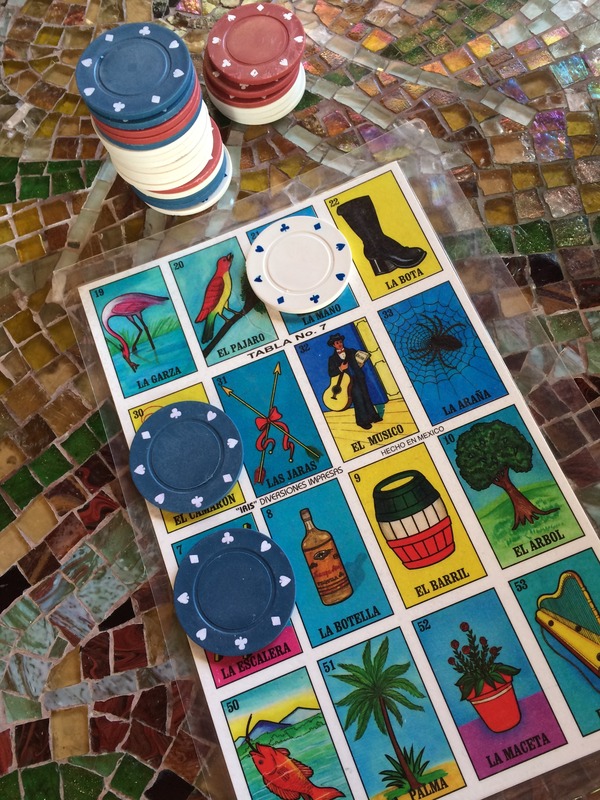 While I had planned on doing nothing but laying in the sun on our recent Mexico vacation, when I mentioned to the hubs a few of the activities I had found, he thought it would be fun to try a few of them. 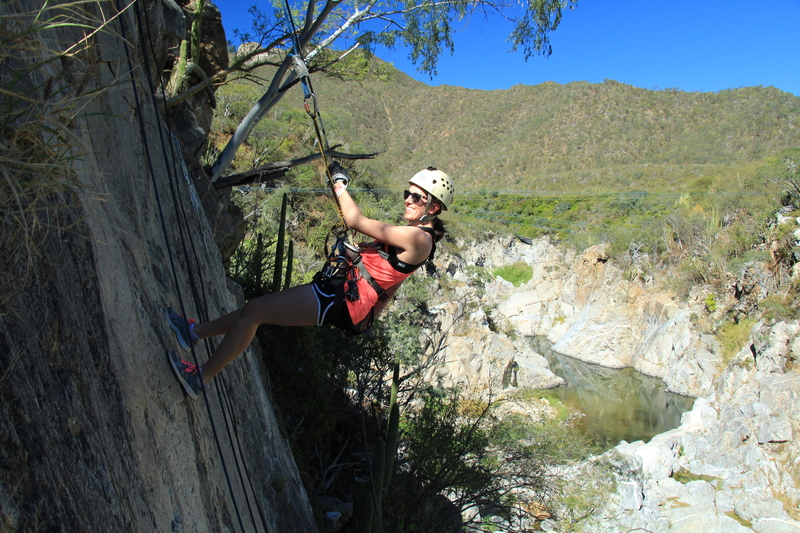 One of the activities we did was zip lining with Cabo Adventures. We had previously done this in Puerta Vallarta about 5 years ago with the same company and we had so much fun then that we wanted to experience it again. 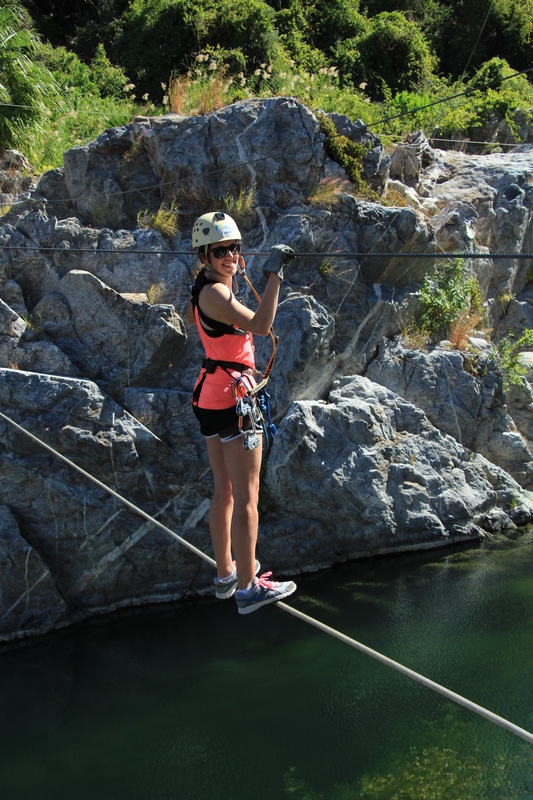 Even though I have a fear of heights, zip lining seems to take the edge off of that fear for me, at least momentarily. 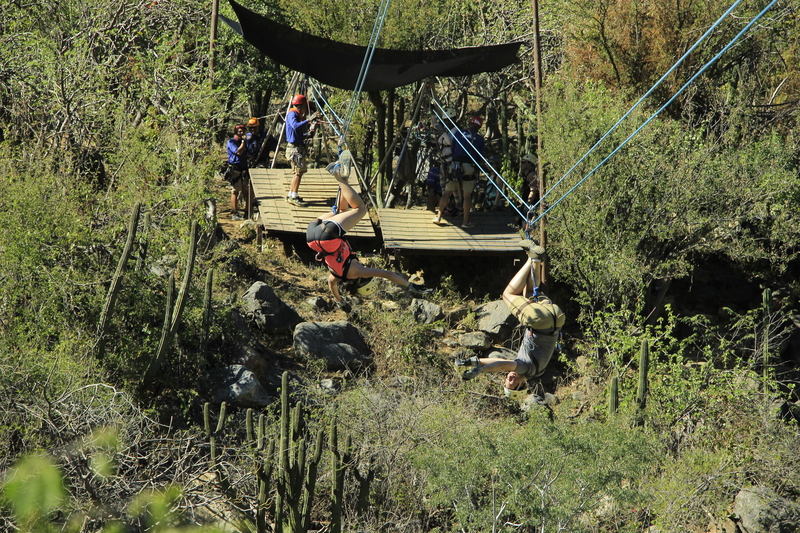 One thing we loved about Cabo Adventures is not only how friendly and fun their staff is, but also how extremely safe they are with their zip lines. They use a double system which helps to ensure that you’re always safe. 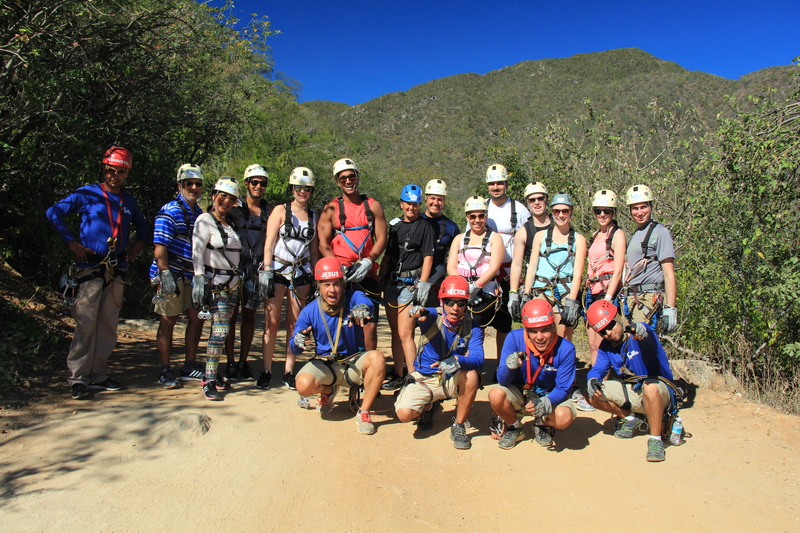 Once we got to our zip lining site (about 45 minutes outside of Los Cabos), we got our gear on and rode a unimog up the mountains. 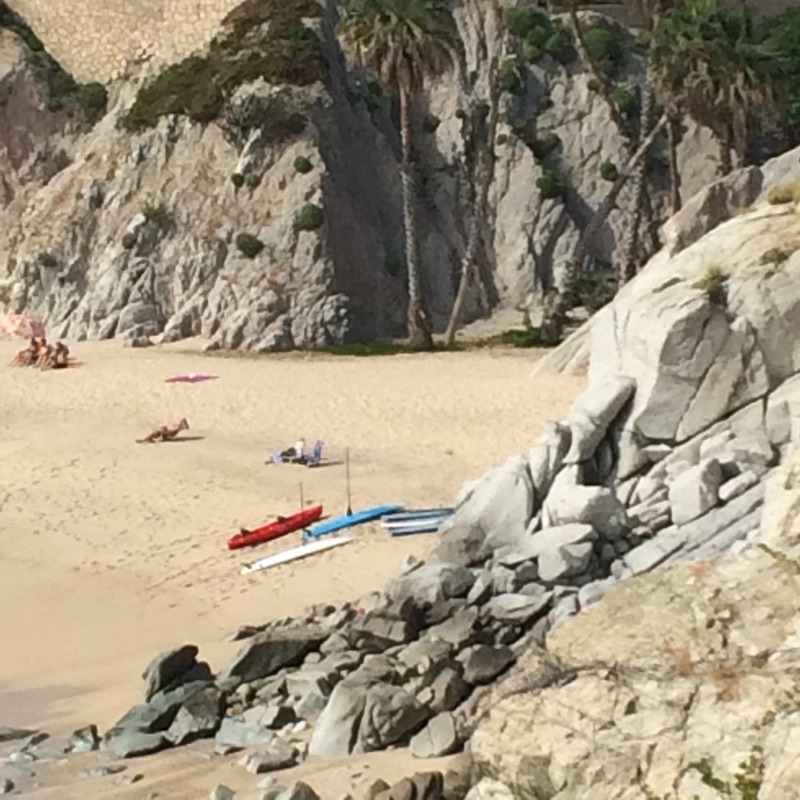 From there, we zipped, slide and climbed our way up and down the mountains. 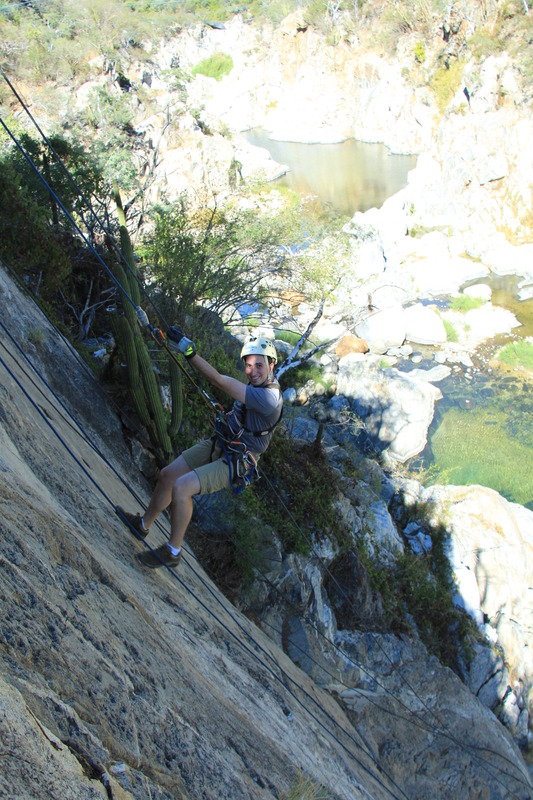 There were the standard zip lines that we had done before that we were familiar and comfortable with. 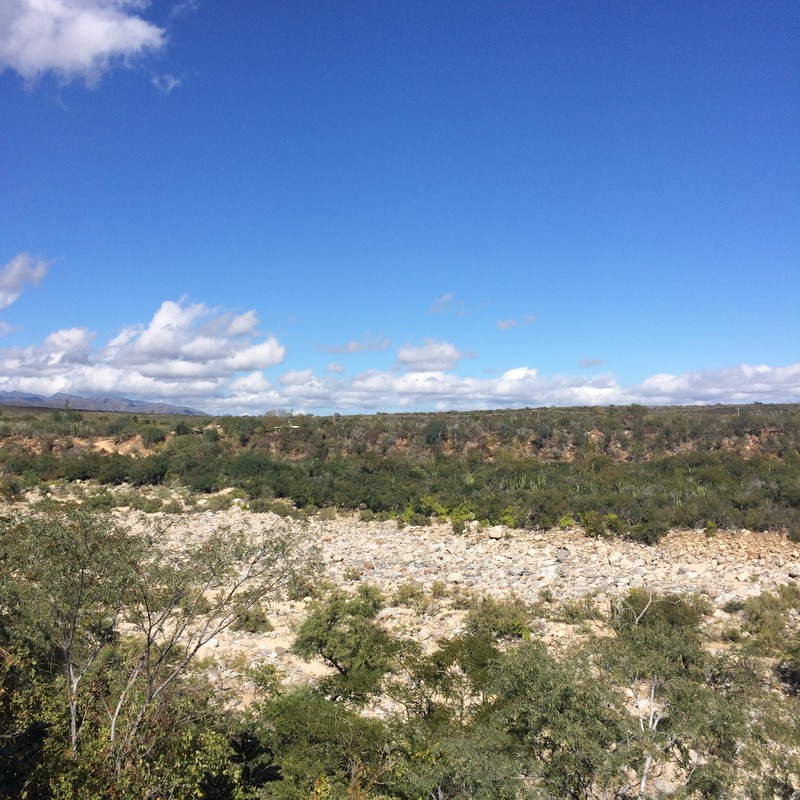 On this tour, there were also ones that we had not done before including a zip line that we got to ride on together, another zip line that you rode upside down, some rock climbing and rappelling and a tight rope across a river. But, the biggest thrill came at the end when we got to ride the Superman zip line. 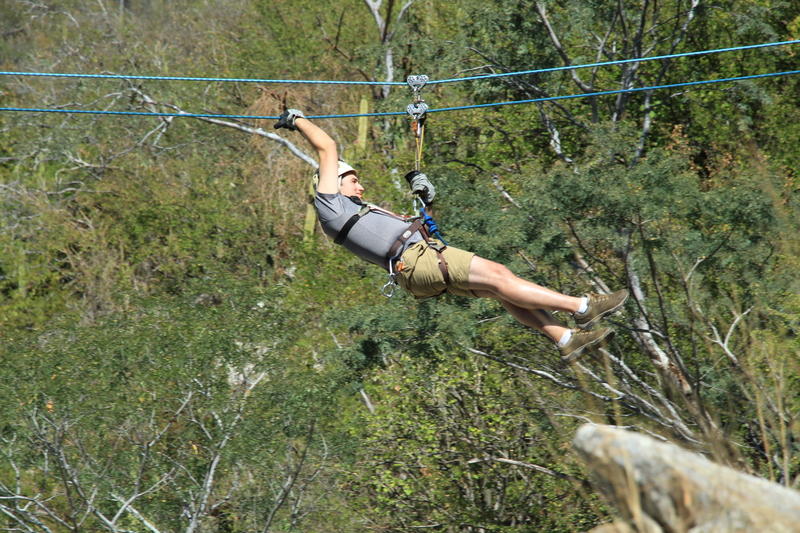 Prior to going on vacation, I had read about it on the website which is advertised as the longest, fastest and tallest zip line in Mexico. Prior to getting there I was a little scared about it, but nothing could prepare me for when I first laid eyes on it. When we first arrived there in our bus, our driver stopped so we could see others gliding down it. I immediately started to feel sick to my stomach seeing how high up this zip line really was. The entire tour I kept thinking about how that zip line was the only way down to the ground at the end and I was pretty scared to do it. Once we climbed to the top and waited our turn, I had to keep giving myself a pep talk about how I would be fine on it. Once it was my turn, the staff got me suited up and prepared to go which took a few minutes. And before I knew it, they pushed me off and I was on my way. 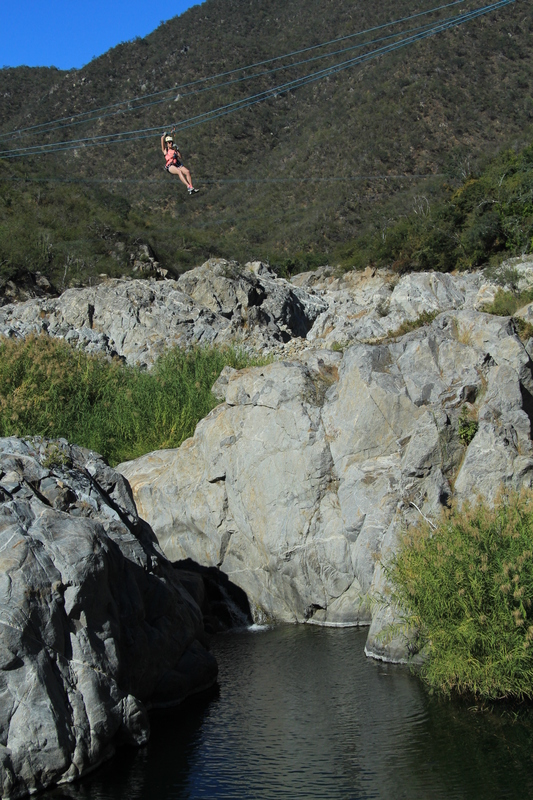 I can’t even describe what fun it was going down this mile long zip line at 60 mph. It didn’t feel that fast and I wasn’t as scared as I thought I would be. I felt like I was gliding along and I just took in the sites as the zipped past me. Another thing I love about this company is they take such great pictures of you on the tour, so of course since hubs himself is a photographer, we had to buy the pictures and the video of this adventure. To see the video, head over to my Facebook page. 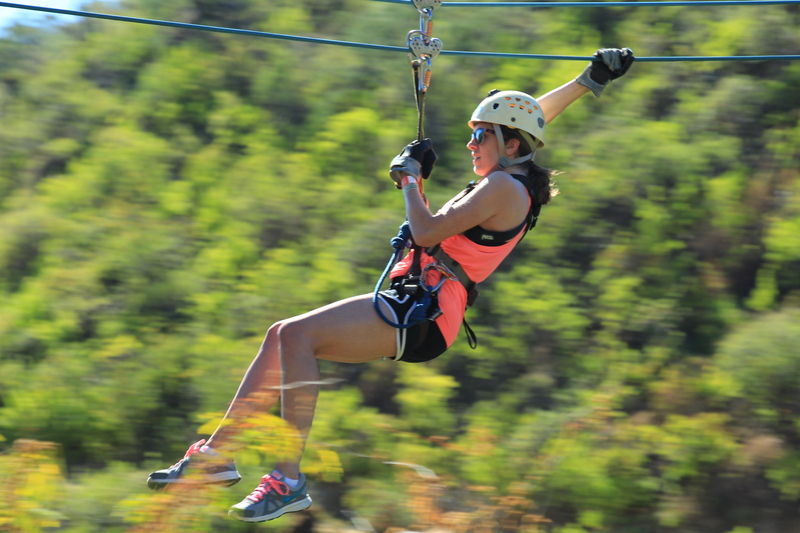 You’ll get a nice and up close view of my face as I headed down the zip line! And, perhaps one of the funniest things ever on our trip came early on in the week when we were looking at the brochure from Cabo Adventures. I looked down and noticed a picture of hubs and I! 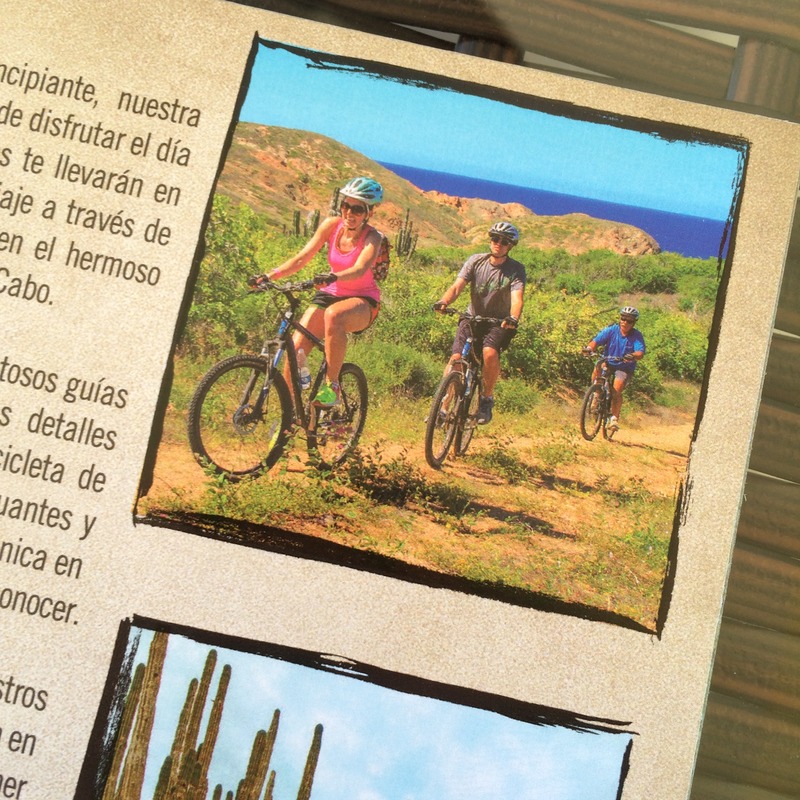 We had done quite a few excursions with them 2 years ago when we were in Cabo and they used our picture in this pamphlet! You know how you always sign those waivers for companies to use your photos? Well, I always thought they posed these photos or used stock footage. But, it looks like they use regular, ordinary people like us! And, for the record, I’m clearly struggling to ride that bike up a mountain! 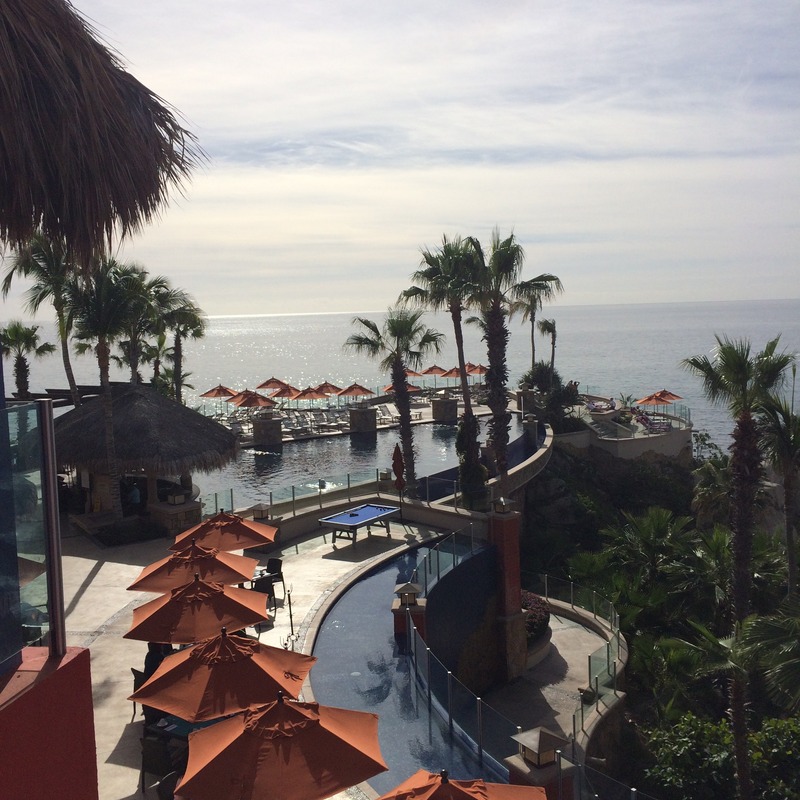 Last week, my husband and I jetted off to Cabo San Lucas, Mexico for some much needed rest and relaxation. And seriously, what an incredible time we had together. It was the best possible way to kick off 2016. 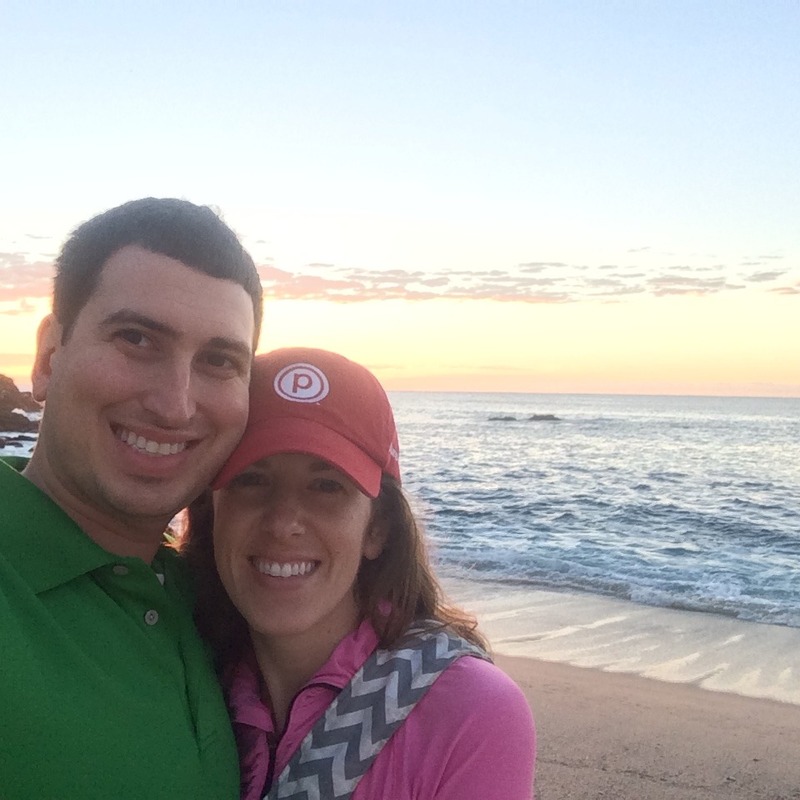 This was our second time in Cabo. Normally we don’t like to travel to the same destination twice since we like to explore new locations, but we always said we would love to go back for whale watching season. That paired with the ability to travel there quickly made it a no brainer for us. The weather was perfect all week long. Highs in the upper 70s meant laying in the sun all day without getting overheated and lows in the 60s at night meant maxi dresses were the perfect outfit for dinner al fresco. 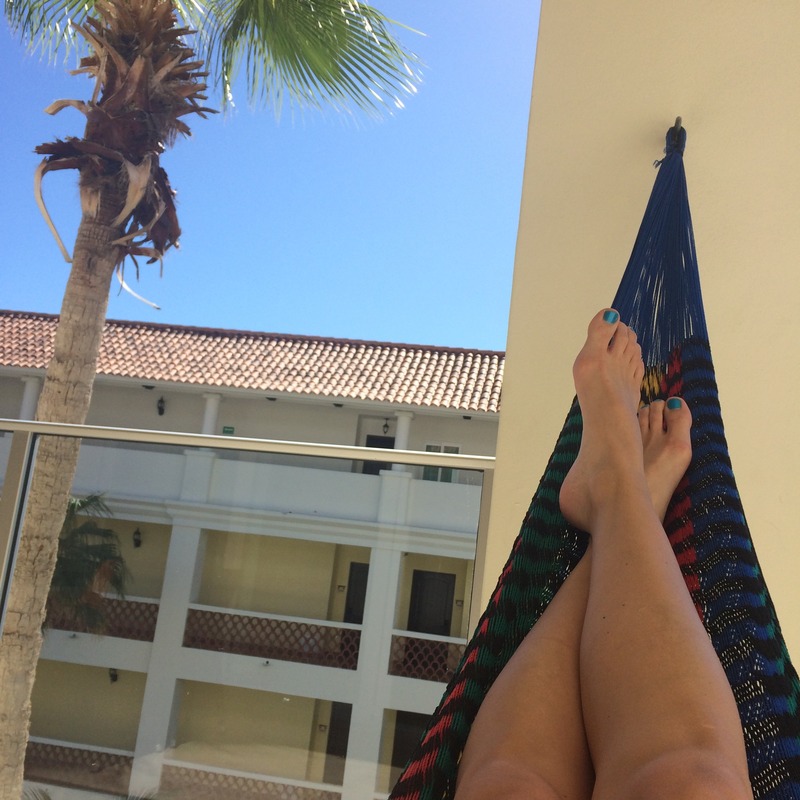 We loved waking up early every morning to watch the sunrise on the beach and taking naps on the hammock on our balcony. We hadn’t been on a beach vacation in over 2 years. 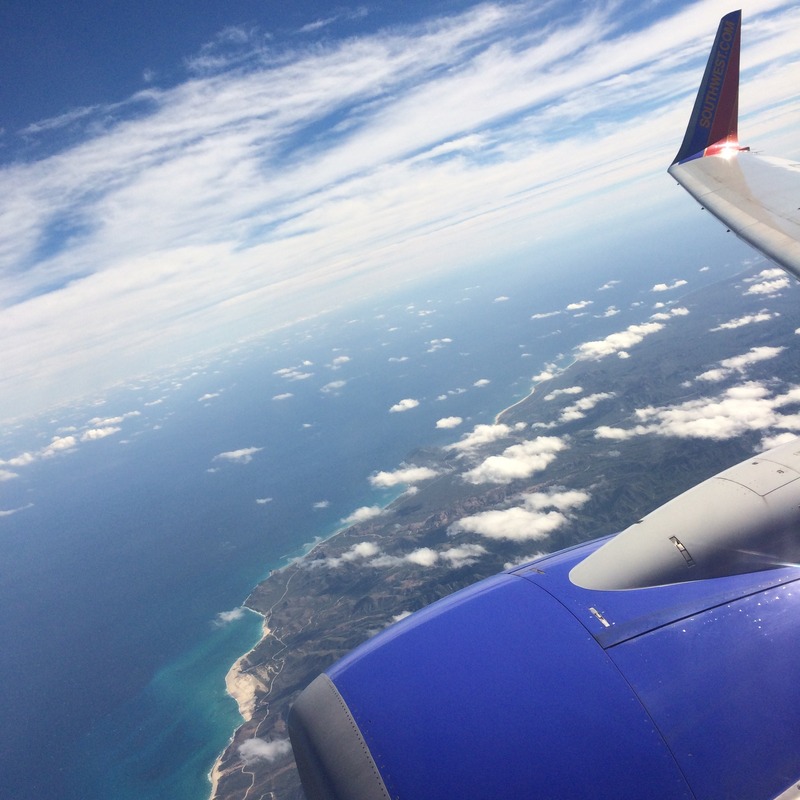 While we love being tourists and taking educational trips overseas, there’s something to relaxing about having a week in the sun with no plans set in stone. We had a couple of activities planned, but for the most part we bronzed ourselves in the sun which was a nice welcome from the below zero weather back home. 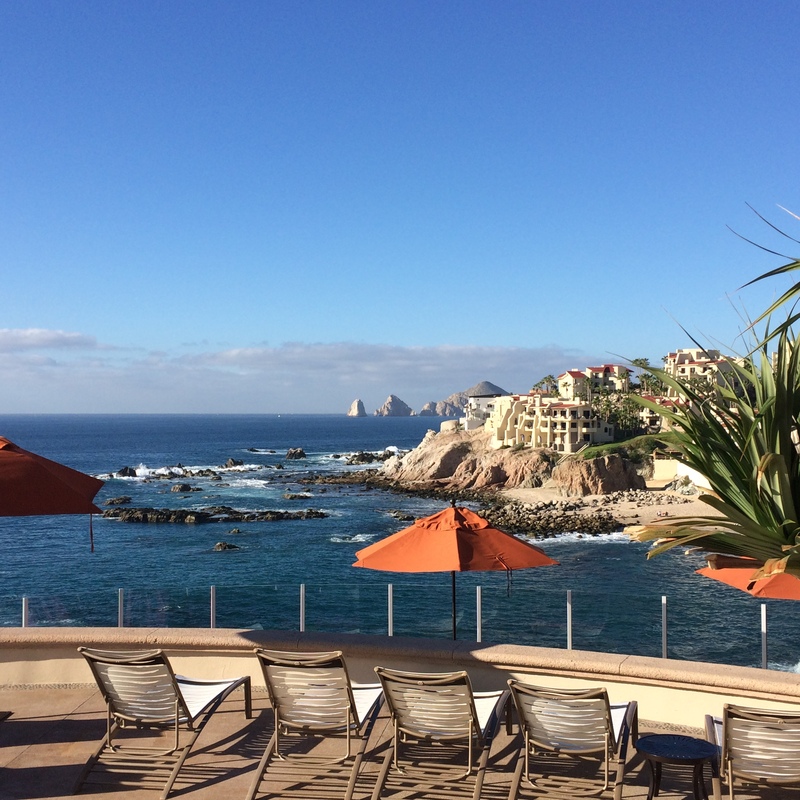 We stayed at Sirena Del Mar which is about 5 minutes outside of Cabo San Lucas. 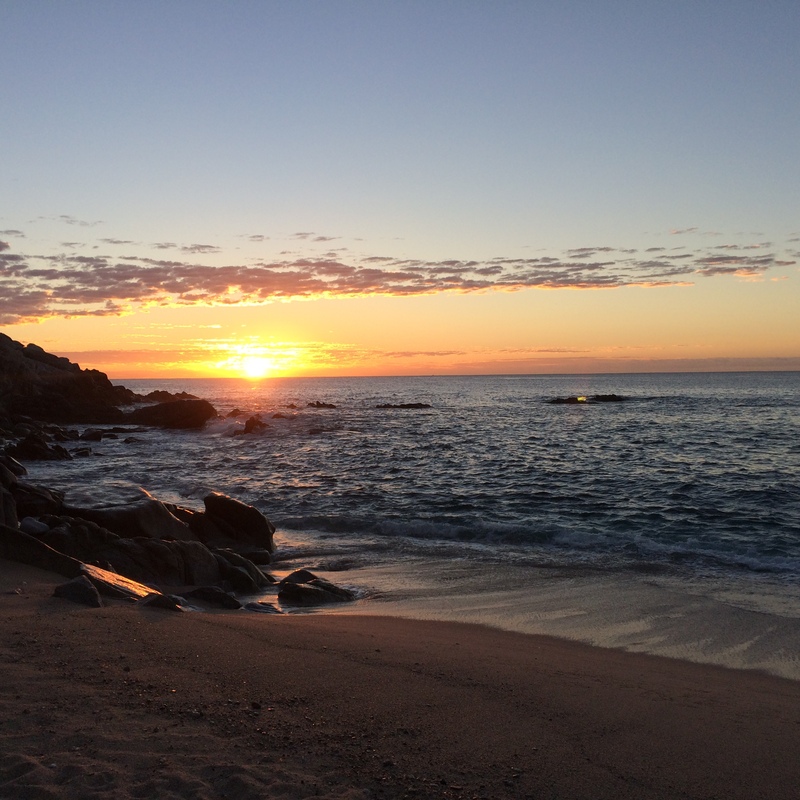 When we first vacationed there for our honeymoon, we stayed 30 minutes north of Cabo San Lucas in San Jose del Cabo. 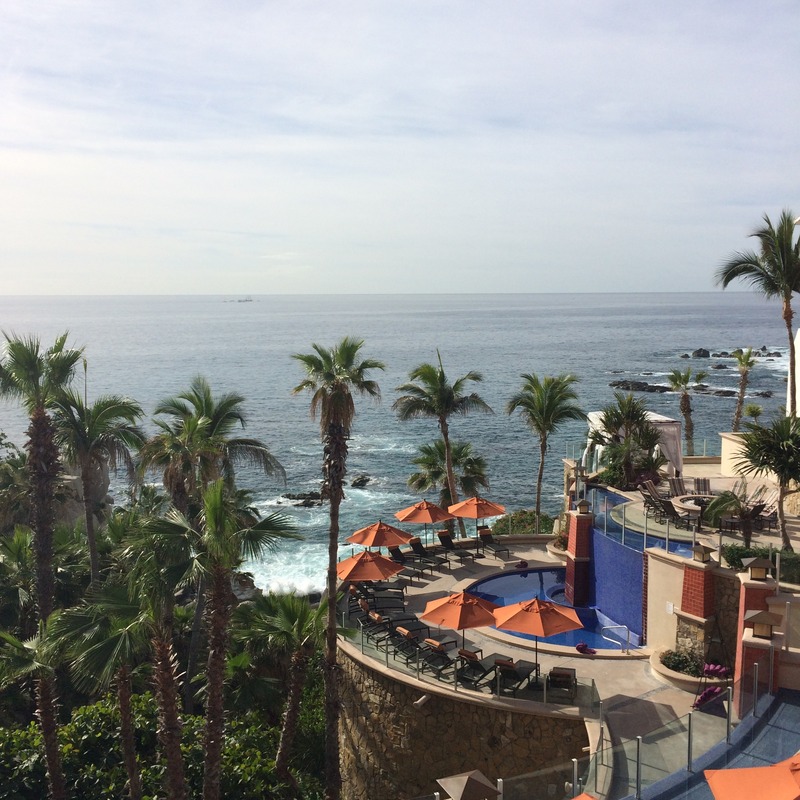 While we LOVED our resort the first time we went there, the 30 minute drive into downtown Cabo meant we only ventured down there once. Staying closer to the city this time meant that it was only a short cab ride to some amazing restaurants and lots of activities. Our resort was fairly small and quiet, and was situated on top of a cliff which mean beautiful afternoon breezes to help keep you cool. The infinity pool overlooked the arch and being up high on the rocks meant unlimited views to seeing whales and boats out on the ocean. There was a small semi-private beach that we had access to and an activities committee that had some really fun things planned each day that we participated in. We played bingo, some board games, and did a little aqua Zumba. One afternoon we participated in a mixology class where we learned how to make 3 different shots and 3 different cocktails. 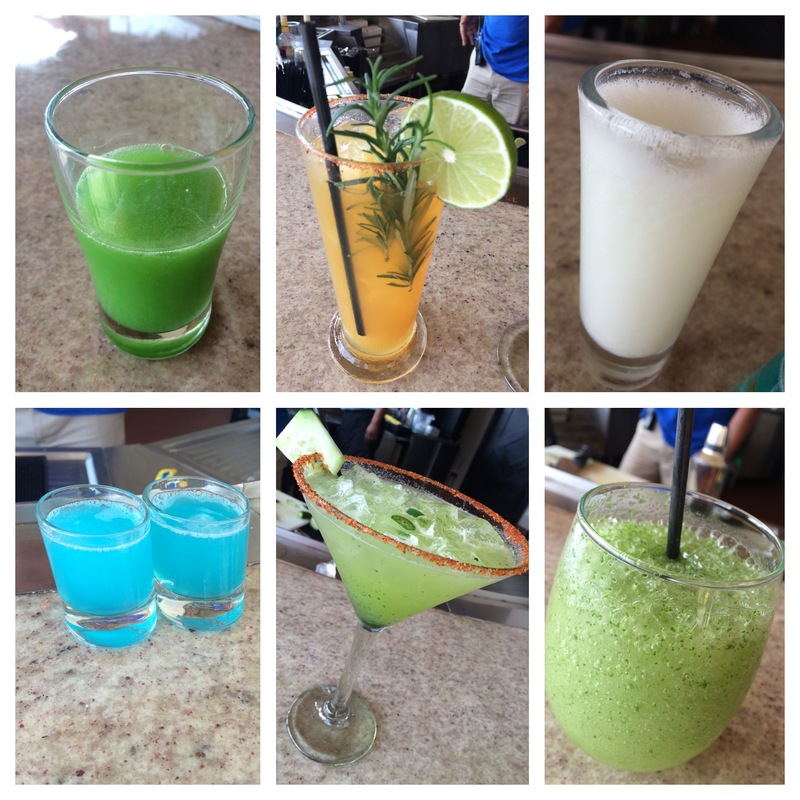 Our favorite one by far was a cucumber and serrano pepper margarita. I’m still wishing I was poolside sipping on it! They also had some other water activities such as kayaking, snorkeling and stand up paddle boarding (SUP). I’ve never done SUP before and given how much I love to work out, I figured this would be a fun new activity to try. Unfortunately, our guide did not give us instructions on how properly SUP, so this became quite the adventures for the Mr. and me. I only made it standing up once and after about 20 minutes of paddling, my knees and arms were dead tired. Our adventure continued on at this point because the winds and current picked up and we ended up getting pushed out farther into the ocean than our guide intended. Because of the weather change, I started to really struggle and was unable to get my paddle board moving. After 20 minutes of struggling, our guide came and helped tow me in. Since the weather had picked up, it took us over an hour to paddle back into the shore. Once I got off the board, my legs were sore and my knees were swollen and bleeding from this adventure at sea. While we didn’t have the greatest time SUP, I’m glad we gave it a try. I’d really like to give it a second go, but this time trying it out on a calm lake first before I head out with the big fishes. And now here we are back to the hustle and bustle of reality. While I love traveling and had an amazing time relaxing with the Mr, I was beyond excited to come home and see my fur babies!